WASHINGTON (Sputnik) — On Tuesday, media reported that Syrian rebels who graduated from the US train-and-equip program had joined the Nusra Front. In addition, pictures began circulating on Twitter, showing the terrorist group brandishing US-made weapons. "[W]e have no indication that any of these NSF [New Syria Force] fighters have defected to Al Nusra Front," CENTCOM said in a Twitter message quoting its spokesperson Col. Patrick Ryder. "[I]t was an old picture that was re-purposed." 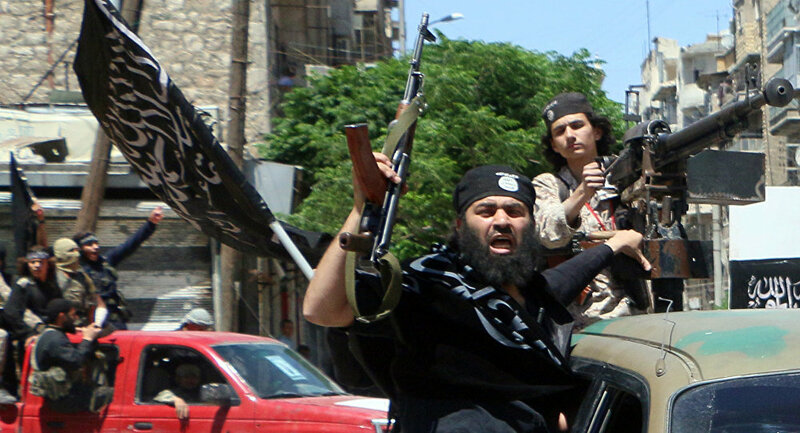 "[W]e have no indication that any of these NSF fighters have defected to Al Nusra Front." On Wednesday, CENTCOM stated that none of the US-trained Syrian opposition fighters defected to support the terrorists, and all weapons issued by the US against the Islamic State remain in their control. Approximately 70 participants in the train-and-equip program returned to Syria from a training camp in Turkey over the weekend, according to CENTCOM.